I’d like to welcome you to Memory Loss Facts. I am a clinical and neuropsychologist who has been helping people to change since 1972. We are a community of people coping with memory loss, emotional stress, family relationships and caregiving, just like you or someone you are concerned about. We have a genuine interest in helping you to improve your own or your family or friend’s memory. Please relax and enjoy our site! We are not here to sell you something although you may be interested in one of our sponsors. 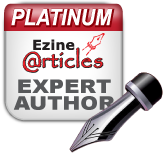 Our mission is to provide you with excellent, timely and authoritative content edited by an experienced doctor. The main thing is that you have an opportunity to find out more about memory loss and memory improvement. After leaving the U.S. Army as a young man, I knew that I had a passion for helping people to change. I decided early on to become a clinical psychologist and later respecialized as a neuropsychologist. I completed degrees with honors Harrisburg Area Community College, the Pennsylvania State University, Indiana University of Pennsylvania, and Temple University where I earned a Ph.D. I later earned Postdoctoral Certificate in Neuropsychology from Fielding Graduate University where I studied under the prominent neuropsychologist Dr. Elkhonon Goldberg. It is our sincere intent to present to you with important, objective information about neuropsychological issues as they relate to memory. You then are free to draw your own conclusions and as always make your own decisions about this information. Please read our disclaimer below. BUT… if you're looking for a community of people who truly care about you and will help support your (or a loved one's) needs, you have found a home! 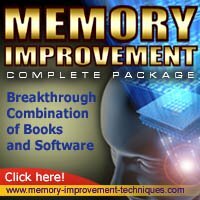 If you are looking for quality content about memory and memory improvement you can be rest assured that the information you see here is always researched from quality sources, often academic. 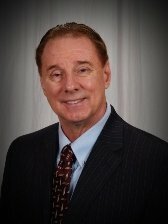 The content is personally reviewed and edited by Dr. Wolf. Regardless of your reason for being here, thank you and welcome! This website is not intended to serve as specific medical advice. The articles and tools are provided for informational and educational purposes only. We recommend you consult a qualified health care professional for diagnoses and treatment advice, and call 9-1-1 in emergencies.